I received my first order from nashua nutrition and was very excited to try out the chocolate shake ready-to-drink (RTD). The chocolate shake is fabulous! I love the convenience of the ready-to-drink. I am able to bring it with me wherever I go, drink it on my way to work, no mixing, no water required. 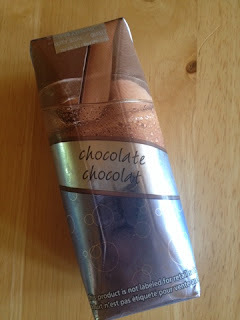 I love chocolate and the taste is great. It doesn't taste chalky or have that strange protein after-taste that certain protein shakes seem to have. I've had it cold and warm, and while I prefer it cold, it is great either way.